Up To 50% Off Christmas Inflatables! You are here: Home / Great Deals / Up To 50% Off Christmas Inflatables! 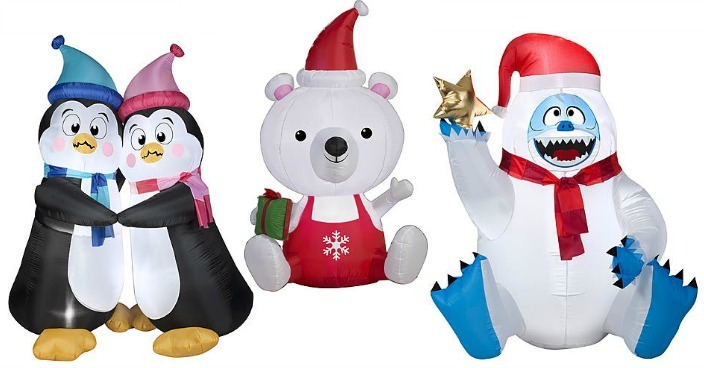 Sears has Christmas Inflatables on sale for up to 50% off and prices start at just $14.99 (Reg. $30)! This airblown is the perfect outdoor decoration for the Christmas season. It is setup by simply plugging it in and is tied down with stakes that go in the ground.e.